This is a perfect recipe to celebrate Mardi Gras and St. Patrick’s Day (hello…pot of gold). Easy enough to put together and pairs perfectly with fresh bakery bread, veggies, and fruit for dipping. Serve with a chilled glass of wine or cold brew. 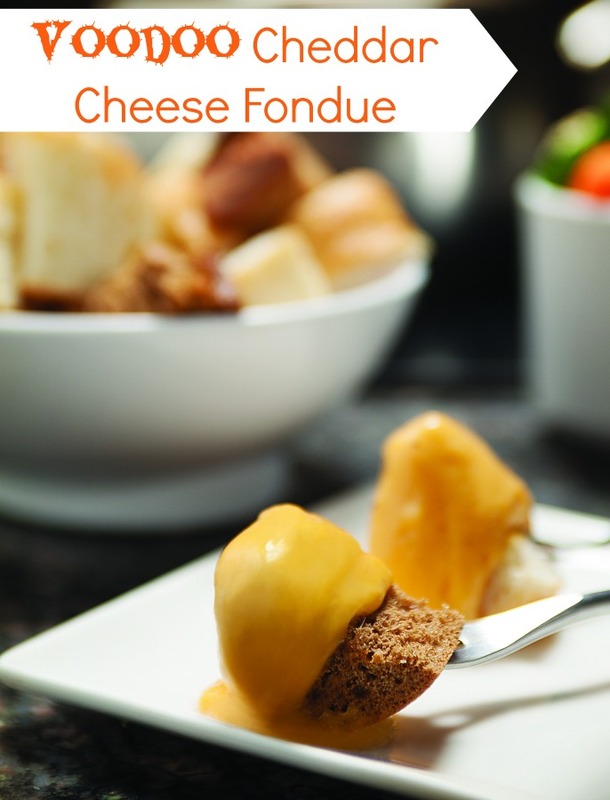 This recipe is inspired by The Melting Pot fondue restaurants’ cookbook. I’m going to try making this with an aged white cheddar (cheese aged over 12 months is naturally lactose-free) so that Em can enjoy it as well. If you don’t have a fondue pot there are plenty on Amazon.com to fit just about every budget. Toss the cheese with the flour in a bowl. Place a metal bowl over a saucepan filled with 2 inches of water. You may also use a conventional double boiler. Bring the water to a boil over high heat. Reduce the heat to medium and pour the beer into the bowl. Stir in the tomatoes with green chiles and garlic using a fork. Cook for 30 seconds, stirring constantly. Add half of the cheese and cook until the cheese is melted, stirring constantly. Add the remaining cheese a small amount at a time, stirring constantly in a circular motion after each addition until the cheese is melted. Fold in the shrimp and pepper. Pour into a warm fondue pot and keep warm over low heat. Serves 4 to 6. Serve with artisan bread, seasonal vegetables and apple slices for dipping. 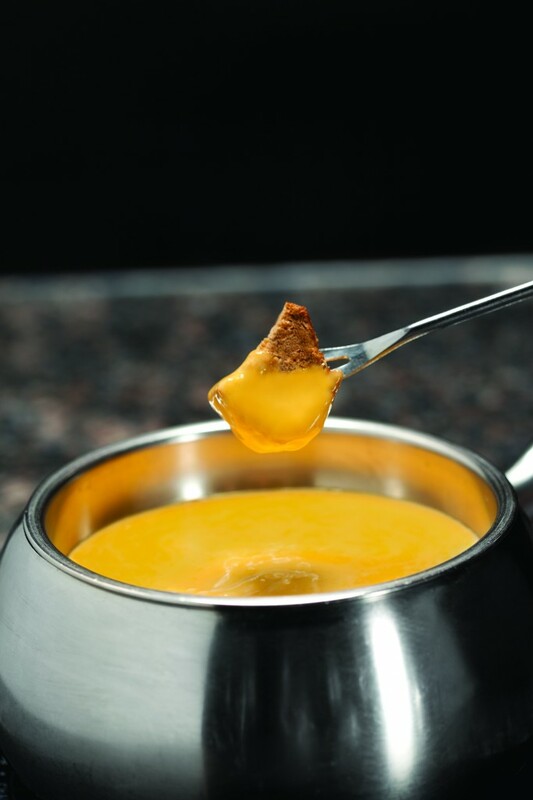 Cheese Fondue Note – Cheese should be shredded and tossed with flour or cornstarch to aid in thickening and to improve the viscosity of the fondue. The fondue should be the consistency of warm honey when completed. Monitor the cheese carefully as it is being added. Not all the cheese may be needed, and, in some cases, more cheese may be needed to reach the perfect consistency. I have never made fondue before, but have always wanted to go to the Melting Pot. This looks like a much less expensive option!